Bring School of Ants into the classroom! What do ants really like to eat? Explore topics of diet, food types, food quality, and ant diversity with your students. Designed by a former teacher, this three-day teaching module is a great alternative to School of Ants sampling. Get the lesson plan packet on our Students Discover website! 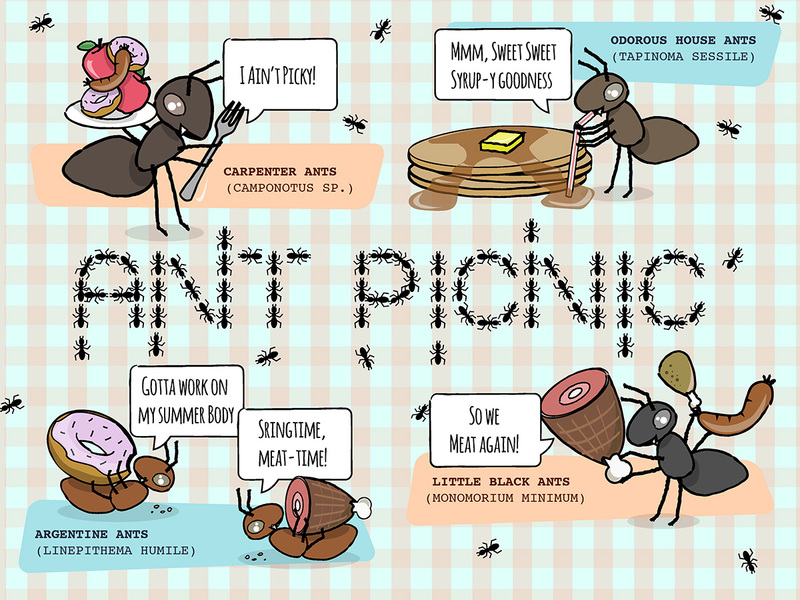 Describe diet preferences for ants by using different food types to attract ants. Categorize food types by the quality of nutrients that they provide. Quantify ant abundance based on food sources and quality. Understand patterns of food quality and attractiveness to ants by constructing a two-way table of food quality and number of ants present. [Optional Extension for Gifted Students] Identify ant diversity at each food source.